Quick and easy bacon wrapped smokies recipe with brown sugar, made with 3 simple ingredients in one pan. This 30 minute appetizer is sweet, salty, smoky! 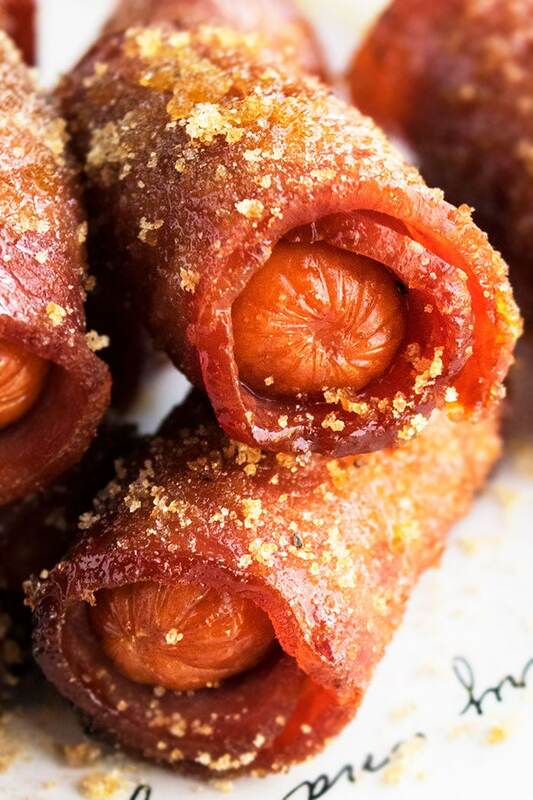 This bacon wrapped smokies recipe requires only 2 ingredients! 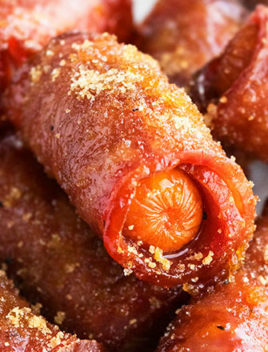 This bacon wrapped little smokies with brown sugar recipe is a classic! It’s very popular appetizer for tailgating, Super Bowl, game day parties, Christmas parties and New year’s parties. Cut the bacon strips into 2 or 3 pieces because smokies are quite small and require only a small strip to become fully wrapped. Mix in a little cayenne pepper and paprika to the brown sugar to add a subtle spice. Don’t just sprinkle all the brown sugar on top of the smokies in the pan because that would cause sugar to burn and the end result won’t be pretty. You can use turkey bacon too but remember that it cooks quicker. 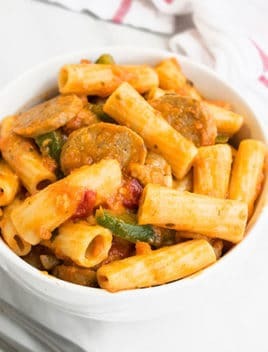 You can flip the sausages halfway though for more even baking baking but I rarely do it and they still cook perfectly. You must line the tray with aluminum foil because it makes clean up so easy. Brown sugar cannot be replaced with granulated sugar because it does not work well. How long do you cook bacon wrapped smokies? Bake for about 25-30 minutes or until bacon is brown and crispy. If it’s still not crisp, broil for 2-3 minutes but be careful not to burn the toothpicks or the smokies. How do you cook bacon wrapped smokies in the oven? 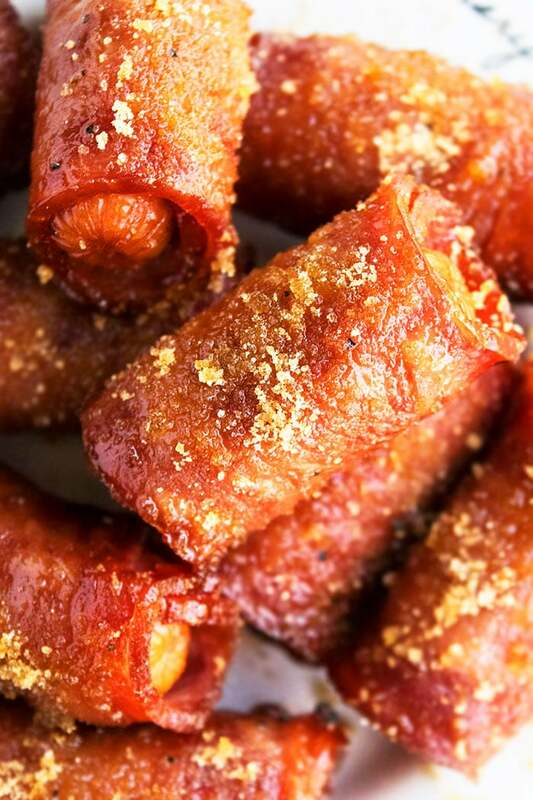 How do you make little smokies wrapped in bacon and brown sugar? Wrap smokies in bacon strips. Coat them in brown sugar. 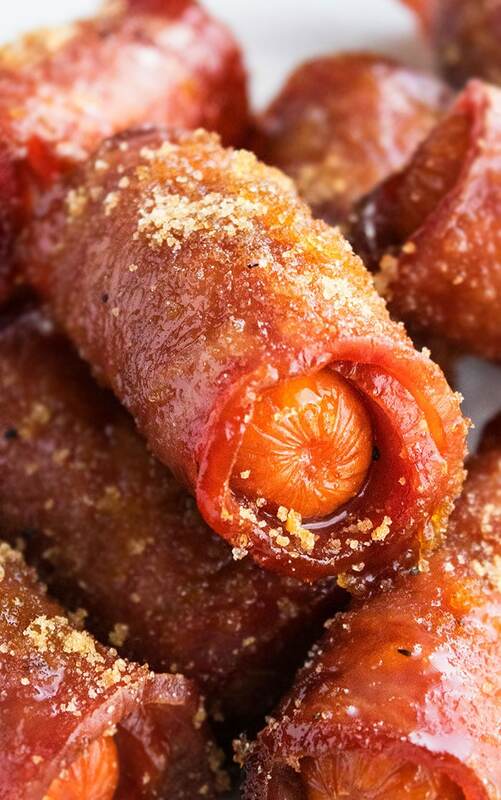 How do you keep bacon wrapped smokies warm? 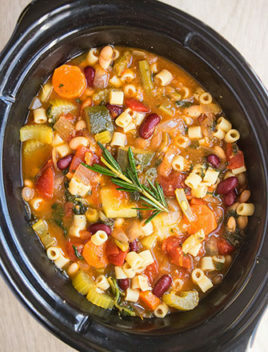 Keep them in a slow cooker on the very low setting. 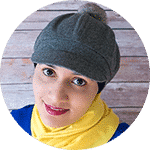 Pour about 2 tablespoons of maple syrup in the crockpot before adding them to keep them moist plus it enhances the flavor too. Can you make bacon wrapped smokies ahead of time? 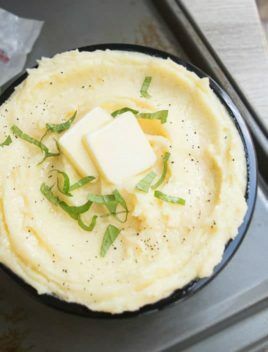 Yes, you can make them about an hour in advance and keep them warm in a slow cooker on the very low setting. I still prefer to serve them immediately because they taste amazing fresh out of the oven. I am not fond of bacon wrapped smokies (Crockpot/ Slow cooker)! They don’t have a nice crunchy sugar top nor is the bacon crispy. However, the crockpot is very good at keeping these warm until you are ready to serve. Bbq sauce- BBQ bacon wrapped smokies are also very popular. Near the end, just brush some bbq sauce on top and broil for 2-3 minutes. Maple syrup- Brush some maple syrup on top near the end and broil for a few minutes. Butter- After wrapping each sausage in bacon, dip them in melted butter and then coat them in brown sugar. Brown sugar glaze– Prepare a brown sugar glaze and brush it on top, near the end. Broil for a few minutes until sweet and sticky and enjoy. Pat sausages dry with a paper towel and wrap each smokie with bacon and secure it with a toothpick. Roll them in a bowl of brown sugar and pepper until fully coated. Place them on a sheet pan, lined with aluminum foil. Bake at 350 degrees for about 25-30 minutes or until bacon is fully cooked and brown. Broil for 2-3 minutes to make the tops super crispy. Optional: Let it sit for 2-3 minutes at room temperature and then sprinkle a little more brown sugar on top of each smokie and enjoy. 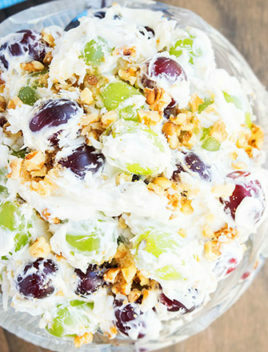 Sounds like such a fun appetizer with lots of smokey sweet flavours!